Shogun Sun can be rewarded for his strong summer carnival form in the Sunshine Coast Cup. 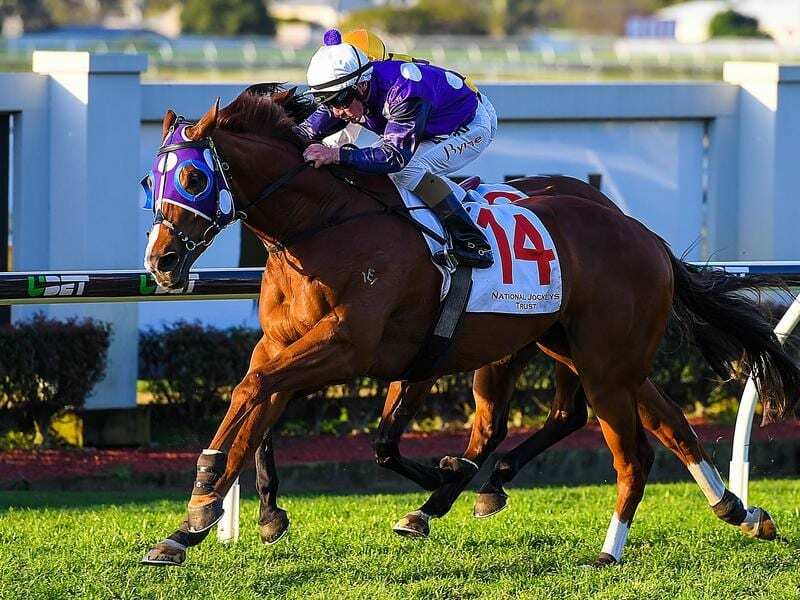 A streamlined Shogun Sun is ready to continue his good form in feature races and score his first open company win in the $125,000 Sunshine Coast Cup. Shogun Sun has shown he is up to top company with a fourth in a Buffeting Quality and a third in the Magic Millions Cup at his past two starts. The gelding has also shown he is up to Sydney class, winning at Randwick as a three-year-old in 2017 and finishing second at the same track in August. Premier Sydney jockey Brenton Avdulla considered protesting against second placed Sambro in the Millions but eventually did not go ahead with it. However, he did confirm that Shogun Sun had plenty of potential. “I think he can win a decent race at some stage,” he said. Avdulla had been keen to stick with Shogun Gun in the Millions race after also riding him in the Buffering. Trainer Kelly Schweida also has a wrap on Shogun Gun but he admits the gelding’s first up run had him a little worried. Shogun Gun ran last in a Class 6 at Doomben on resuming in mid-December. “He’d had a longer break than normal after his last Sydney run and was a big bigger than normal. But he has taken a bit longer to come up,” he said. Mark Du Plessis takes over from Avdulla and will also ride Schweida’s veteran stayer Outraged in one of only a few 2400m races run at metropolitan meetings in Queensland. “He won it last year off a similar preparation but he isn’t getting any younger.” Schweida said. Du Plessis relocated from New Zealand to Queensland in the winter carnival and is sixth on the metropolitan premiership.